Catherine joined the Tick Tax team in 2016 as the new principal and registered tax agent and comes with an extensive background of over 15 years in the accounting industry, specialising in superannuation. Catherine graduated as Chartered Accountant in 2005 and has since completed her diploma as a Self-Managed Superannuation Fund Specialist Advisor and more recently, a Graduate Diploma of Financial Planning. Catherine’s previous roles include an associate director at second tier accounting firm BDO. She has also gained valuable experience working in the United Kingdom for the international firm, AON. Catherine is a proud Sydney Swans supporter and a bullseye shot at the Monarto Metallic Shilouette Rifle Club. She is also the captain of her roller derby team where she goes by the name ‘Kit Cat Krunch’. 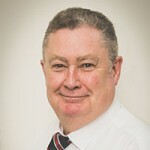 Graham, or better known as ‘Chook’, co-founded Tick Tax in 2006 and was the principal tax agent until 2016 when he began his transition to retirement and eventually retired in October 2017. Although he still pops in to the office every now and then his presence and knowledge is truly missed by both staff and clients. Graham is a beloved member of the Semaphore and Port Adelaide RSL where he has also held the position of club president. He’s a tragic St Kilda supporter who fortunately has some spare time during the September finals series to brush up on his Thai language skills so as to talk to his grandchildren who live in Thailand. 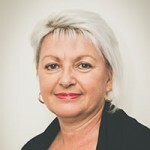 Vicki co-founded Tick Tax in 2006 and was in the accounts and bookkeeping industry for over 40 years. 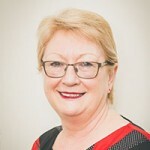 She was the practice manager at Tick Tax until 2016 when she began her transition to retirement and eventually retired in June 2017. Vicki is a wine enthusiast. She has been a member of the Beefsteak & Burgundy Club for over 20 years where she has held positions such as Food & Wine mistress, Vice President, and President. She also has a love for community spirit and regularly organised a Tick Tax float in the Port Adelaide Christmas Pageant. Vicki was loved by all staff and clients and her presence in the office will be truly missed. 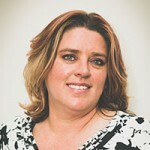 Karyn joined Tick Tax in 2010 and has been a tax consultant for over 10 years. 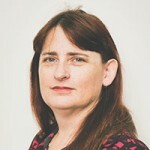 Karyn is a member of the Institute of Public Accountants. She has an exceptional amount of tax knowledge which she gained in her previous role as a tax lecturer and tax practice manager. Karyn’s passions include karaoke, reading, and cricket. She also has a love for dance and gymnastics. Lyn joined Tick Tax in 2015 and is the first friendly face you will see as you enter the office at reception. She has a 30 year background in administration in industries varying from office equipment to manufacturing. Assisting consultants, and much more! Lyn’s achievements include representing the state in table tennis from the age of 11 and being crowned Australian Junior Table Tennis champion at the age of 17. Her passions include the Adelaide Crows, Adelaide Thunderbirds and her beloved Chihuahua Maggie. 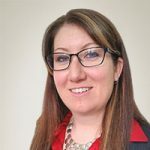 Kerri joined Tick Tax in 2015 as an administration officer with over 14 years’ experience in secretarial and administrative work within accounting and legal firms. Kerri is very family orientated and is kept busy in her spare time with organising her children’s sporting activities, which include cricket and tennis. She also loves reading and cooking.